Particles move across membranes by simple diffusion, facilitated diffusion, osmosis and active transport. U1. Particles move across membranes by simple diffusion, facilitated diffusion, osmosis and active transport. Osmosis is the passive movement of water molecules, across a partially permeable membrane, from a region of lower solute concentration to a region of higher solute concentration. Diffusion is the passive movement of particles from a region of high concentration to a region of low concentration. Passive transport across membranes by simple diffusion and facilitated diffusion. The cell membrane is hydrophobic inside thus hydrophobic (lipid soluble) molecules will pass through easily. This is by simple diffusion. However hydrophilic molecules and charged particles will not be able to cross the cell membrane. They will need the help of protein channels, this is facilitated diffusion. Simple diffusion involves the diffusion of molecules through the phospholipid bilayer while facilitated diffusion involves the use of channel proteins embedded in the membrane. Water moves through by osmosis which is also by passive transport. Osmosis involves the movement of water molecules from a region of low solute concentration, to a region of high solute concentration. So if the solute concentration is higher inside the cell than outside the cell, water will move in and vice versa. 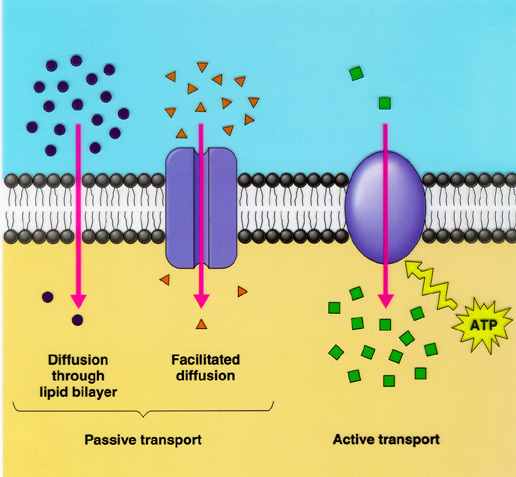 Protein pumps and ATP in active transport across membranes. When there is a passage of materials against a concentration gradient (from low to high) it is called active transport. 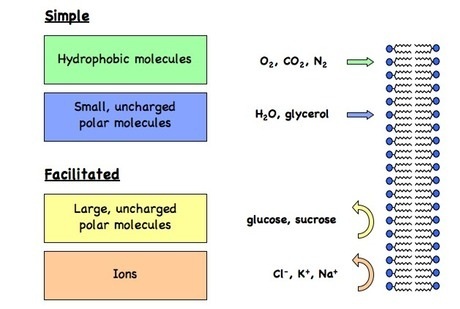 This process use protein pumps translocate molecules against concentration gradient by using energy from ATP. The hydrolysis of ATP causes a conformational change in the protein pump resulting in the forced movement of the substance. 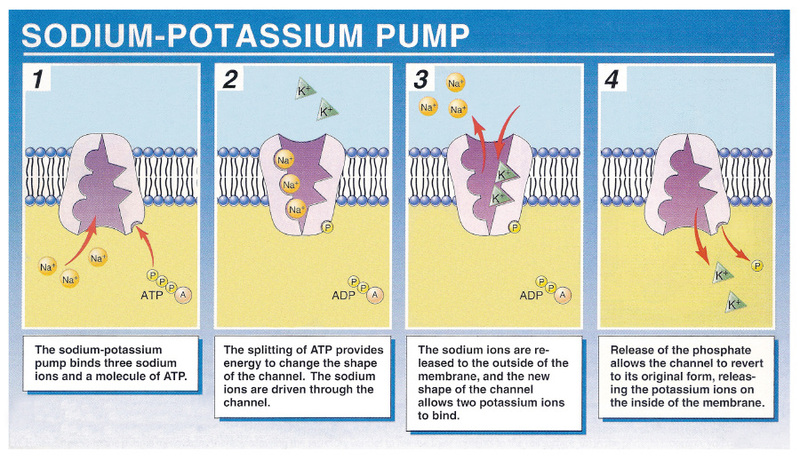 An example of an active transport mechanism is the Na+/K+ pump which is involved in the generation of nerve impulses. U2. The fluidity of membranes allows materials to be taken into cells by endocytosis or released by exocytosis. Vesicles move materials within cells. Polypeptides are produced in the ribosome and passed to the lumen of endoplasmic reticulum. 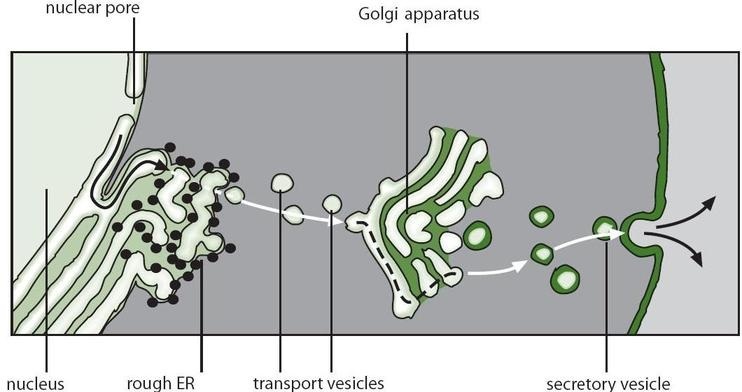 The polypeptide moves via vesicles from the cis face of the golgi to the trans face and may be modified along the way. The polypeptide is finally transferred via a vesicle to the plasma membrane, whereby it is either immediately released or stored for a release later. The fluidity of the membrane allows it to change shape, break and re-form during endocytosis and exocytosis. The plasma membrane is held together by the relatively weak hydrophobic associations between phospholipids. This allows membrane fluidity and flexibility. Thus the breaking and remaking of membranes is possible, allowing larger substances access into and out of the cell. There are two processes based on the entry and exit of substances. The process by which large substances enter the cell without travelling across the plasma membrane. The process by which solid substances (e.g. food particles, foreign pathogens) are ingested or taken in is called phagocytosis. The process by which liquids / solutions (e.g. dissolved substances) are ingested by the cell is called pinocytosis. The process by which large substances exit the cell without travelling across the plasma membrane. Vesicles fuse with the plasma membrane expelling their contents outside the cell. Application: Structure and function of sodium–potassium pumps for active transport and potassium channels for facilitated diffusion in axons. Application: Tissues or organs to be used in medical procedures must be bathed in a solution with the same osmolarity as the cytoplasm to prevent osmosis. Isotonic solution: A solution that has the same salt concentration as cells and blood. 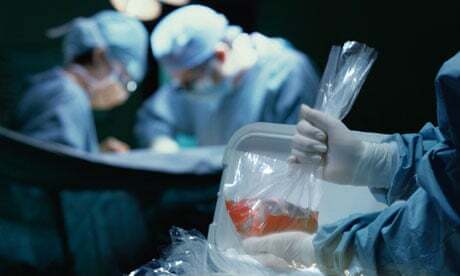 Intravenously infused fluids in hospitalized patients.